November has proven to be a month of record-setting art auctions with Cy Twombly’s abstract work, “Untitled (New York City), 1968,” becoming the most expensive piece sold by Sotheby’s this year and breaking the record for the highest price ever paid for one of the artist’s works. On the heels of last week’s auction at Christie’s where the Modigliani piece entitled, “Nu Couche,” broke records to become the 2nd most expensive piece ever sold at auction, the sale of Twombly’s piece is also making ripples throughout the art world. Learn more about the importance of this record-breaking sale in today’s blog. Cy Twombly, Untitled (New York City) (1968). Image: Courtesy of Sotheby’s. 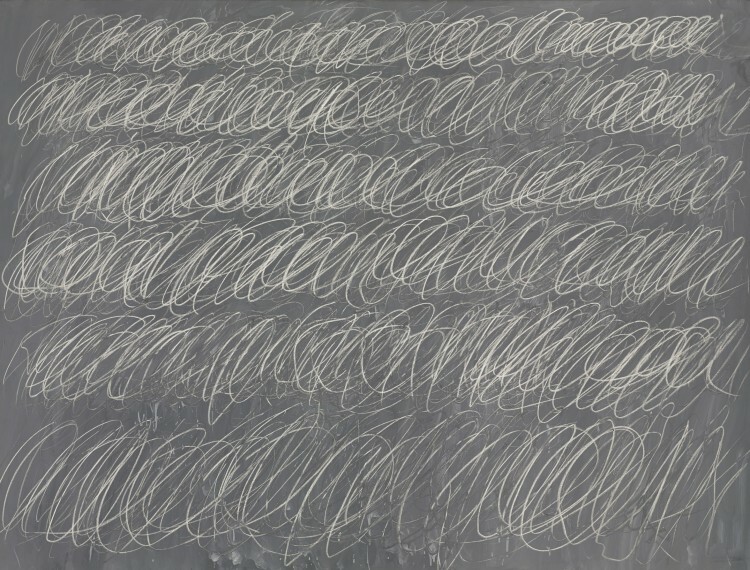 The sale of “Untitled” for $70.5 million achieved a record for highest price ever paid for a Twombly piece. 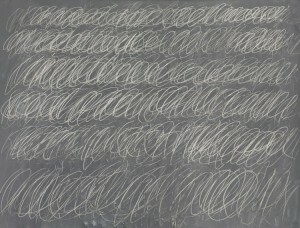 The canvas is painted to resemble a blackboard and is covered in Twombly’s signature curly scribbles, invoking his experiences as a cryptographer with the Pentagon. The previous record for the highest price paid for one of his works was $69.6 million, set at a Christie’s auction in November of last year. “Untitled” also became the most expensive work of art sold by Sotheby’s this year. While the auction was praised for offering an antidote to what has recently been seen as an overheated art market, the ultimate price for Twombly’s piece exceeded expectations and surpassed the original estimate of $60 million. The strength of sales was attributed to reasonable estimates and a well-curated selection. Cy Twombly (1928-2011) was an American artist regarded for his painting, sculpture, and photography skills. Best known for his large-scale paintings of scribbles that are a feature of most modern art museums throughout the world, Twombly ushered in a new generation of post-war art and influenced many prominent modern painters, including Jean-Michel Basquiat and Julian Schnabel. This entry was posted on Thursday, November 19th, 2015	at 12:20 pm	and is filed under Art News	. Both comments and pings are currently closed.